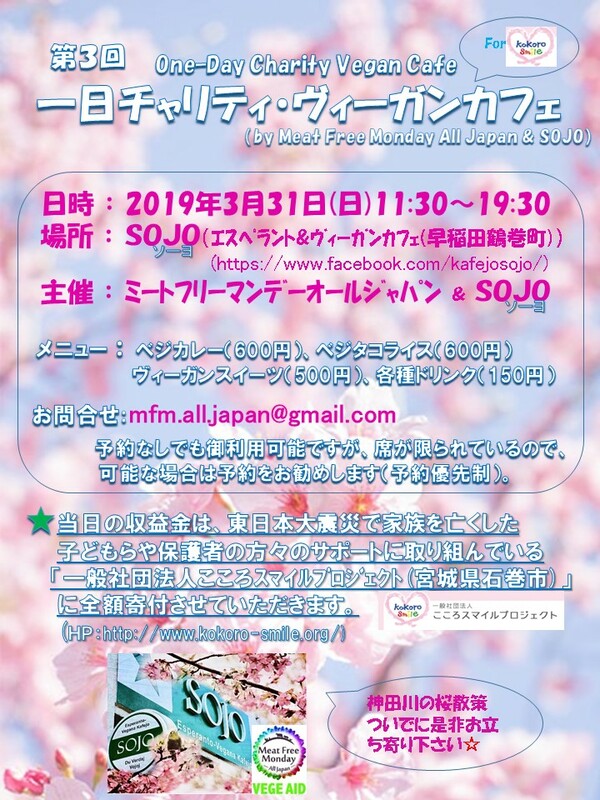 MFMAJ will run the One-day Charity Vegan Café at SOJO(Waseda tsurumakicho, Shinjuku) on March 31 11:30-19:30. All the profits are to be donated to the Kokoro Smile Project(Ishinomaki City, Miyagi Prefecture), which supports children and parents who lost their families in the Great East Japan Earthquake. Due to limited seats, booking is recommended(Address for booking is : mfm.all.japan@gmail.com).